Try a one month membership and save! 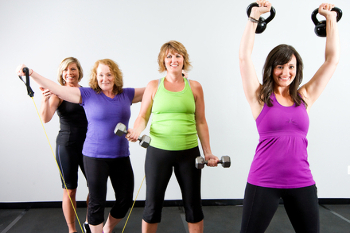 At Fit Women, we believe that balance, positivity and functionality are at the heart of true fitness. Our goal is to serve as positive role models who will encourage, motivate and provide guidance to our members at every turn in the path to cultivating a healthier, happier lifestyle. Our facility is designed with comfort and approachability in mind. This is a unique environment, one that will help you to achieve a level of fitness you have always aspired to.